Health: Heat wave or heat wave, think of mobile air conditioners! After a winter 2017-2018 long, gray and cold, spring is here and there! 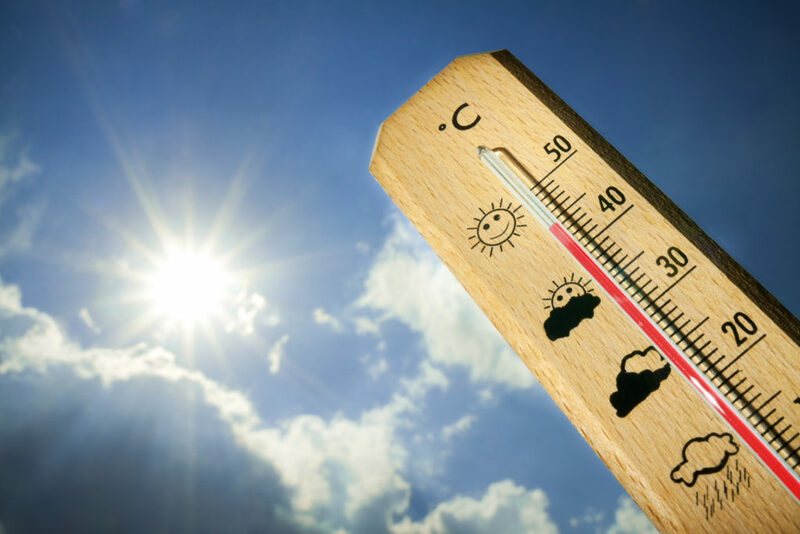 The sunny days are coming back, the temperatures are rising and with them, the risks of heat wave or heat wave. If it is rather easy to fight against the cold, protect the heat is more difficult and the use of air conditioning is almost mandatory in case of hot weather. This is especially valid for the most fragile people, such as babies or people 3ème age ... We still remember the tens of thousands of premature deaths during the heat wave in France 2003! The use of air conditioners would probably have saved many lives! What is an air conditioner? How does it work ? An air conditioner works like a refrigerator .... except that it is an open-air refrigerator (and you are in it)! It is a refrigerating thermodynamic circuit that uses the latent heat of evaporation and condensation to pump calories, ie heat, from one place to another. An air conditioner is an "open" refrigerator equipped with two fans: one to bring cold air, the other to extract hot air! It's a bit like leaving the door open of your fridge and putting a fan in front of you ... Except that, in this case, as the evacuation of the calories is done in the same room, the overall balance will be negative. : the room will eventually warm up. So that an air conditioning works, it is necessary to evacuate the calories towards another medium, that is to say, most often, outside! For this to work, it would be necessary that the hot source, that is to say the black radiator behind the refrigerator, is located in another room, ideally outside in winter and in the cellar in summer. 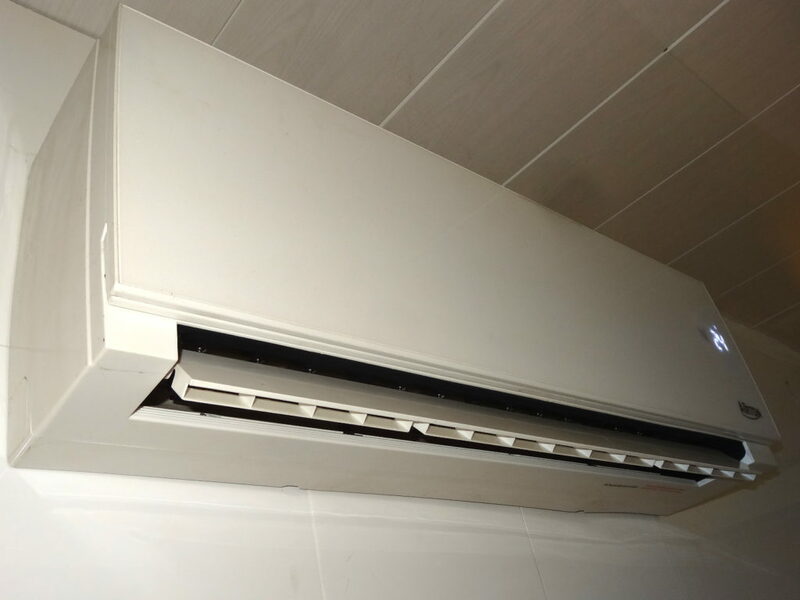 Of course, in the case of domestic refrigerators, this does not exist, but the professional cold rooms all have their hot source (condenser) out, just like the fixed air conditioners. When the circuit can be reversed, then we talk about reversible air conditioner that allows to warm the place of cold in the room "useful". More commonly, this is called a heat pump. A refrigerator is therefore a heat pump, like all air conditioners that use a compressor. Indeed, there are other technologies of cold circuit like, for example, cold by adsorption or absorption. - dehumidify the air in a room (if the model allows it). Now that the theory part is done, let's move on to practice. How to choose a mobile or fixed air conditioner? Mobile or fixed air conditioners? Comparative advantages and disadvantages of both types of air conditioning. A mobile air conditioner will bring you freshness wherever you want and at a lower cost. However, its main disadvantage is to have a hot air evacuation via a flexible pipe (supplied) which can be unattractive. Its main advantage is its high mobility and low price, both purchase and installation! ← Bitcoins: recharge an electric car and pay in cryptocurrency! 1 comment on "Health: heat wave or heat wave, think of mobile air conditioners extra!" What is the point of advertising for mobile climates? What to choose has tested some. You have to count 500 € for a good thing. Models to 200 € ... Hmmm and leave a door between open for a mobile air conditioning, a beautiful example of jabegie! Really not sure that we can reconcile the economy and ecology for future generations with stuff like that ... and refrigerants with high greenhouse gas potential, we talk about it?